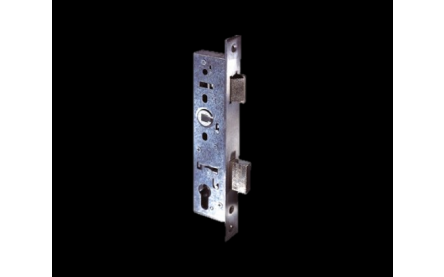 For heavy duty commercial and residential doors. For use with levers only. Lock function for use with P Series profile cylinders. Distances: Hub to cylinder: 92mm c.to c.